Ask any financial expert and they will tell you that the key to younger people managing credit and credit cards the right way is education. Thanks to a new generation of prepaid credit cards geared specifically towards older children – those who are aged 13-18 – that education can begin early and give them a taste of just how to budget money properly and begin to use credit cards responsibly. The great majority of the prepaid credit cards for children work in a similar manner. Parents set up the credit card account, linking it to their bank account in most cases for funding purposes. They also provide the child’s details (usually including their social security number) and once an initial “load” is made the new prepaid credit card is issued in the child’s name, giving them there very own “plastic” to keep in their wallet. The child can then spend their funds anywhere their particular credit card is accepted, on or off-line, and both parent and child can track their spending on-line. Once the child has spent their way through all the money that was loaded onto the card then they can spend no more until it is “reloaded” again. Older teens who are working can also have their paychecks loaded to their prepaid credit card, a real convenient as it avoids check cashing, which can be quite a hassle for a teen, especially if they do not have a drivers license of their own yet. From a child’s point of view choosing the right prepaid credit card may come down to which one offers the coolest card design. Many of the prepaid card offerings for children offer some great design and personalization options and those are what are likely to catch most kids eyes. Parents need to delve a little deeper though. Like any credit card – prepaid or not – there are a numbers of fees attached to the use of these prepaid credit cords for children and they do vary quite widely. 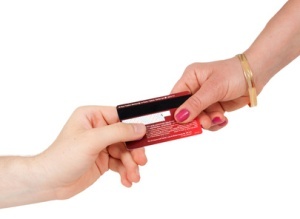 The vast majority of prepaid cards for children charge a “load fee” when parents or others are funding the card. This can be as little $1 or as much as $4.95 so this is something you will certainly need to keep in mind. There is also often a monthly fee to consider as well. Usage fees are normally in line with those charged on a debit card. There is usually a fee for ATM withdrawals and on some pin related purchases as well. When choosing between prepaid credit cards for children add up all the fees and this should help you make a decision. The eye catching colors of the American Express card and the fact that they can upload any picture they like to add to their prepaid credit card are the details that are likely to appeal to a lot of children but there are in fact some other perks attached to the American Express Pass Prepaid credit card for children that are worth mentioning. The first really notable thing is that American Express do not charge a fee for loading the card, which can really save money if you are going to be loading it on a regular basis. The downside to the American Express Pass card though is that there is currently no direct deposit option for a teen who works. Parents (and others) can however either load the Pass card straight from an American Express card of their own or from a verified bank account (the verification process takes about two days.) Parents do not need to be American Express card holders themselves to open a Pass account for their child though. Load amounts can be between $25 and $2,500. In order to receive the card the initial laid has to be at least $25. There is no monthly fee attached to the American Express Pass card. One of the other great features attached to the American Express pass card is that it offers some of the benefits a “real” AMEX card does. Pass cardholders themselves (the child, not the parent) have access to AMEX Roadside Assistance services, purchase protection on many of the items purchased with the card for up to 30 days and access to the American Express “Rewards Mall”. This online shopping portal offers discounts to card holders at a number of online merchants. Again, the cool designs offered to those signing up for a Bill My Parents prepaid MasterCard for children (over the age of 13) is the thing that teens will love. There are more than a dozen different designs geared towards both boys and girls, all of them very good looking. There are more fees attached to the Bill My Parents prepaid MasterCard but it does have the advantage that it is likely to be accepted at more locations and also that a child can have a pay check direct deposited to it. The fees are rather reasonable compared to other prepaid credit cards though. There is a $3.95 monthly membership fee that is waived for the first month and a 75 cent load charge however much money is being added to the account. There is a minimum initial load amount of $20 and the card can be funded from a bank account, direct deposit or by purchasing a MoneyPak to add cash instantly (great for emergencies). The VISA Buxx card is another prepaid credit card for children well worth looking into, especially since Visa cards are accepted almost anywhere that credit cards all over the world. Like other prepaid credit cards the VISA Buxx card can be loaded by the card holders parents, via direct deposits but other people can load cash to the card as well if they have the card information That means that grandparents, friends etc can load money too on special occasions like birthdays in a manner that is much safer than sending cash tucked into a birthday card in the mail. In terms of design children can either choose the basic design which comes with a $4.95 activation charge or choose to add any photo they like, but that personalization will cost $19.95. after the card has been received and activated there is a $4.95 monthly fee attached to use but one thing that parents might really like is that the minimum load is $10, not $25 like most of the other prepaid credit cards for children.